When a hard-working doctor dedicated to serving the poor is falsely accused of insurance fraud, she questions her faith, her life, and her vocation. But a series of unexpected messages from God, channeled through surprising messengers, changes everything - and leads her from the darkest despair into the light of vindication. 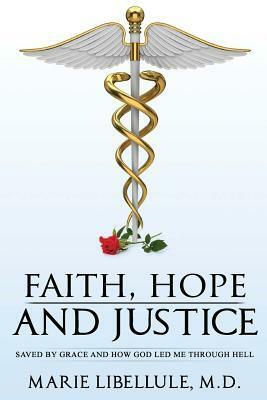 A true story of faith, hope and justice, written by the woman who lived it. I really didn’t expect to get drawn into the book the way that I did. Once I started it, I wasn’t able to put it down. I had to push through because I kept thinking WHAT HAPPENS NEXT?! JUST ONE MORE CHAPTER! Pretty soon it was 2:00 am and I only had one chapter left, so I just HAD to finish it that night. The writing is really animated and puts you into the story. It’s not a super long book, but it’s very complete. It’s non-fiction, but it feels like a superhero book and gives you a whole new level of respect for doctors who really love what they do and respect their patients above all else. Whether you like medical books or not, whether you are religious or not, whether you are into the medical field or not, I think this is a great book and highly recommend it as a quick afternoon read.